As I was looking around my office, I came across the lot of books I got for Christmas from my family. I tend to ask mostly for cooking and craft books each year so I've got quite the collection built up. I always have good intentions of starting projects or making yummy dishes but in reality, I usually do very little with the books that I receive due to being too exhausted from work. 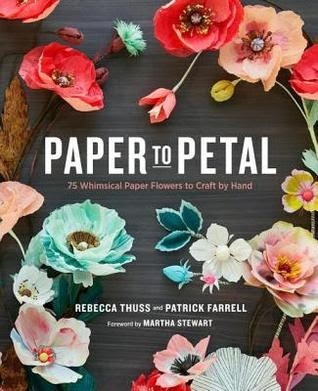 Paper to Petal is a book that shows you how to make beautiful paper flowers with various paper mediums. I think it would be so neat to make a paper bouquet for the formal dining room as well as flowers that can be used to decorate wrapped gifts. A few years ago I had the girls silhouettes done at Disney World. I was fascinated by how quickly the artist moved as he clipped the intricate details of their impish grins and whispy fly away tendrils. The silhouettes were so good and I thought it would be neat to learn how to do paper cutting. 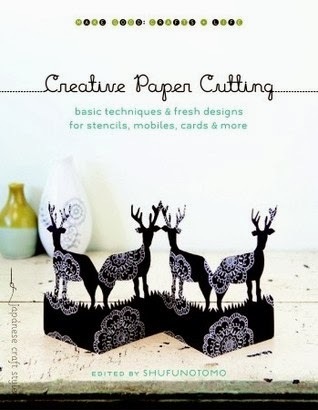 Creative Paper Cutting is a beginner's paper cutting instructional that teaches the basics of creating designs that can be used as wall art and cards. I have a real love for woodland critters. If the animal happens to be dressed in a dapper outfit, even more adorable. 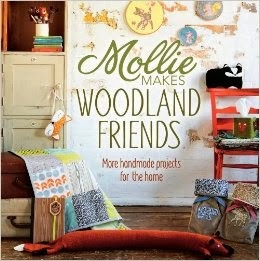 Mollie Makes Woodland Critters is part of series of craft books by the craft magazine, Mollie Makes. Over the last few years the most crafting I have done has been in the form of crochet and felting. Given the choice, I felt or crochet dapper animals. I'm looking forward to diving into a few of these projects. The Tupelo Honey Café is a restaurant in Asheville, NC that is famous for southern cooking with a flair. I've never been to Asheville but it on my list to do some day. 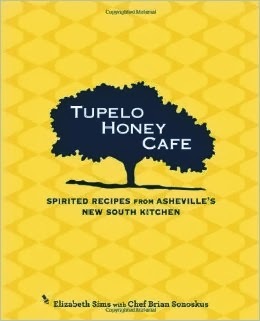 The Tupelo Honey Café cookbook is full of awesome dishes that I would love to master.